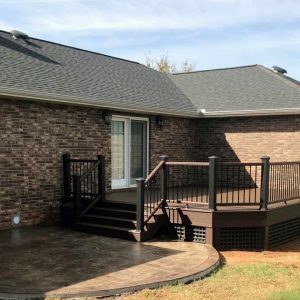 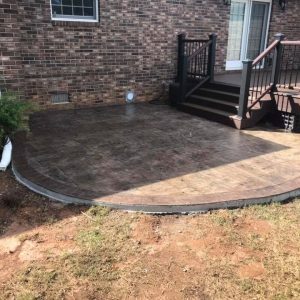 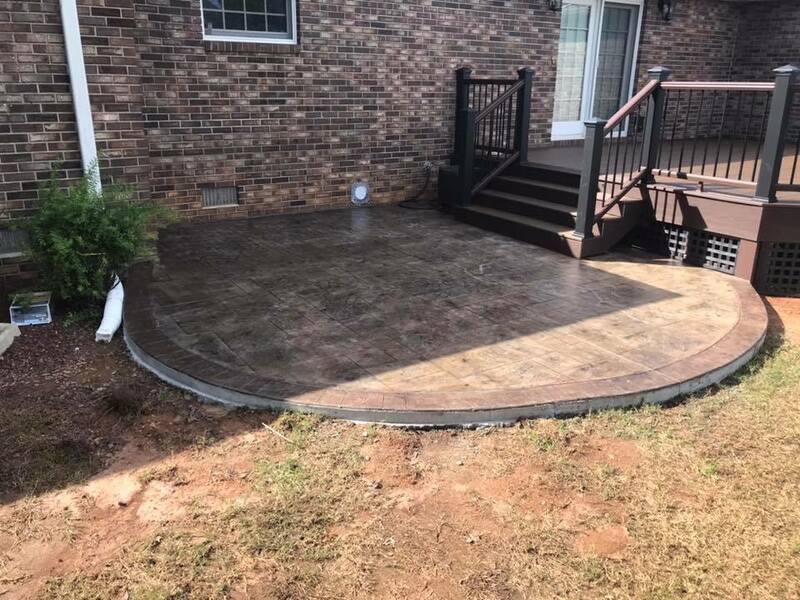 Exterior Escapes LLC installed this beautiful Trex Transcends deck with a stamp/stain patio in Inman, SC. 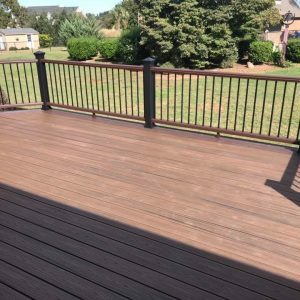 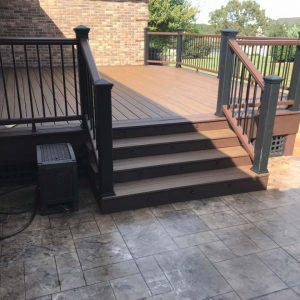 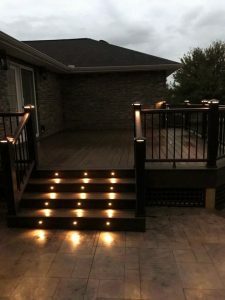 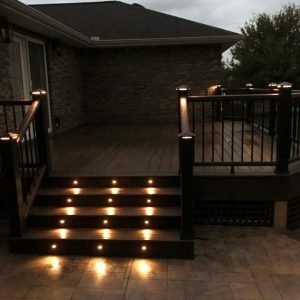 The deck color is Spiced Rum with double Vintage Lantern accents, black post wraps, Vintage Lantern rails and ¾ black round aluminum balusters. 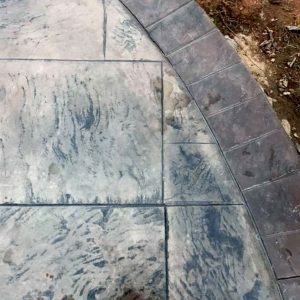 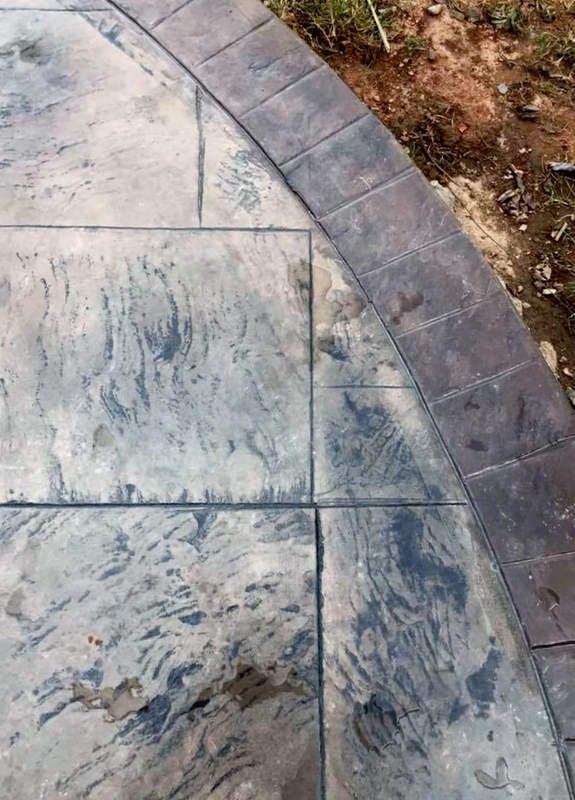 The pad is an Ashler slate pad with a brick border (all concrete). 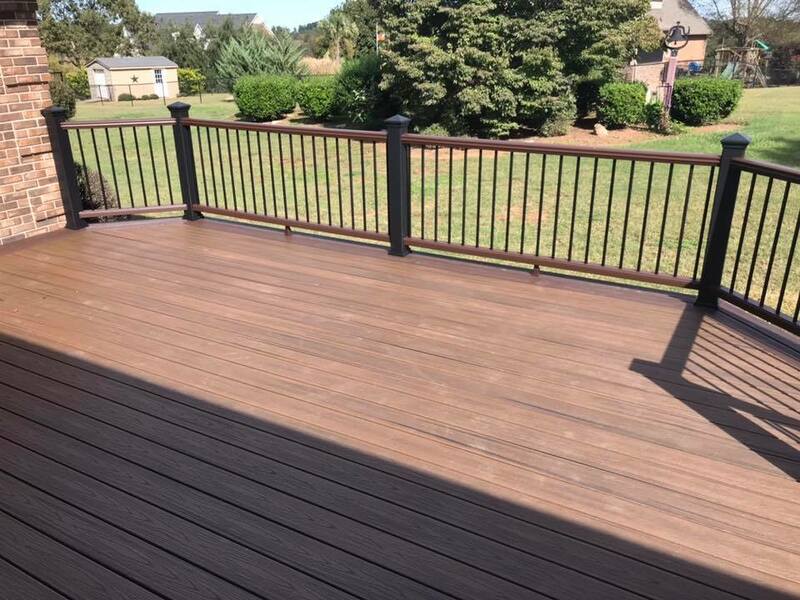 It is finished with vinyl lattice underpinnings to match the posts and balusters. 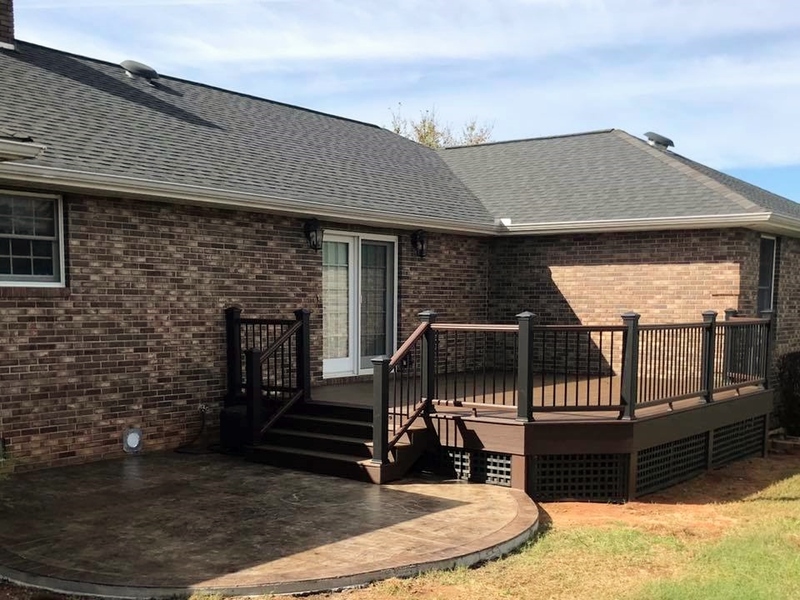 This is a great new outdoor living space for this happy family! 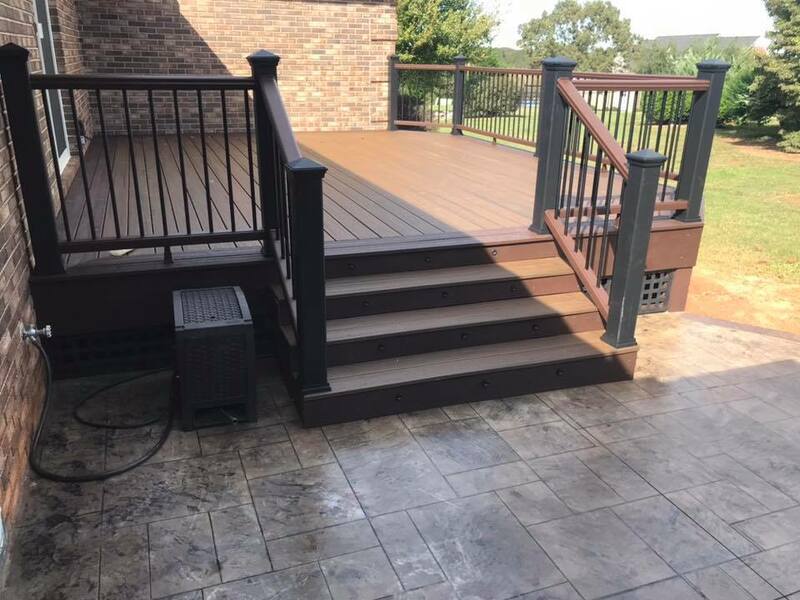 Call Exterior Escapes LLC for your new outdoor living space!